LOOKING FOR A NEW PONTOON? need a pontoon for the day? Come look at the all new 2019 Benningtons Arriving Now!! 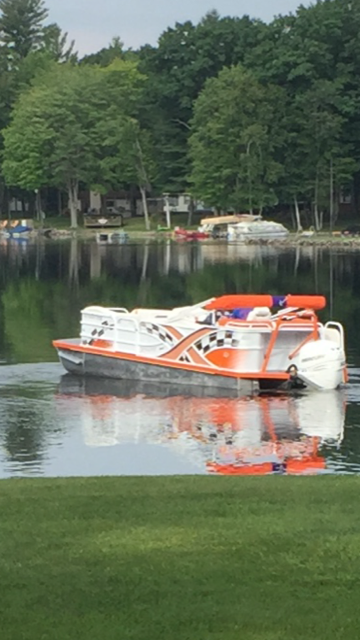 We are a dealer for Vantage Pontoon Tube Wrap. Before and After picture. Make an appointment today. Hours: Monday, Tuesday, Thursday, Friday & Saturday 8:30-5:00, Sunday 10:00-2:00, Closed Wednesday. Secord Lake Marina is Gladwin, Michigan’s original marina located on Secord Lake and family owned since 1984. Secord Lake Marina is an authorized dealer for Bennington and Playcraft Pontoons and Yamaha and Mercury Motors. 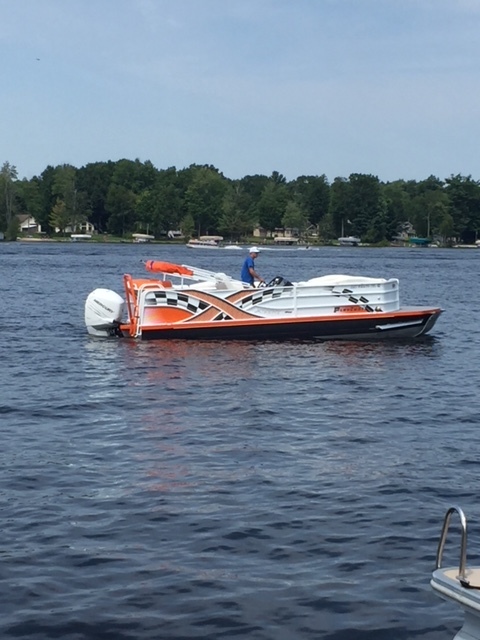 Secord Lake Marina is your one stop shop for a new or used pontoons, Hoosier and Mid-America trailers, Great Lakes Lift & Docking, all your boating accessories and parts, we rent pontoons and have winter storage available. We also have factory trained and certified technicians ready to serve you. We won’t lose your business over price, guaranteed. We service everything from pontoons to fishing boats. Yamaha, Mercury, Evinrude, Johnson, Bennington, and Playcraft are just some of the brands we service and sell.